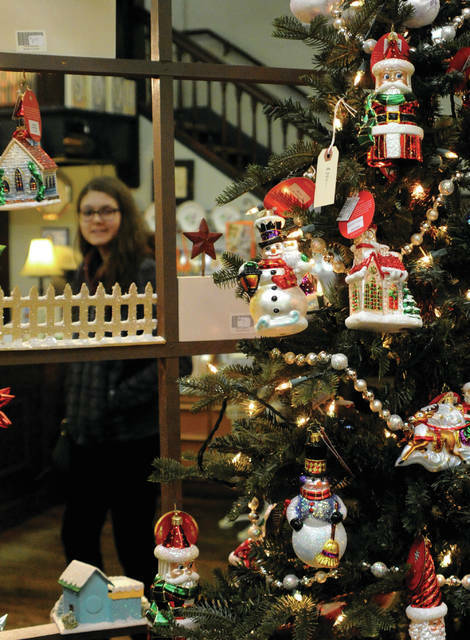 Mike Ullery | Daily Call Rob and Julie Morrison of Troy check out the Christmas decorations at Apple Tree Gallery in Piqua on Saturday. 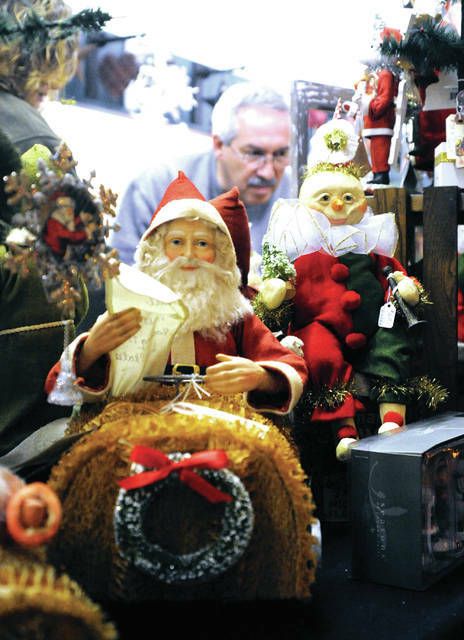 Mike Ullery | Daily Call A shopper checks out the Christmas decor at Apple Tree Gallery in Piqua on Saturday. MIAMI COUNTY — After a successful inaugural year in 2017, Holiday Welcome Weekend swept back through the county this weekend to recognize hundreds of local businesses ahead of the regular shopping season. The event, which began last Thursday and spanned the weekend, was a joint venture by more than 100 unique shops and restaurants in the Miami County area, including businesses in Troy, Piqua, Tipp City, West Milton, and Covington. All of the participating locations were open on Thursday through Saturday from 10 a.m to 6 p.m., with many providing earlier and later hours of service outside of that time frame. Businesses in each community provided special sales and promotional deals to coincide with the three-day event, some also offering refreshments and door prize drawings to attract shoppers. Diana Thompson, executive director of the Miami County Visitors and Conventions Bureau, conceptualized the event last year. According to Thompson, efforts were extensive to make the county-wide event a reality. The Holiday Welcome Weekend event precedes the Grand Illumination event in Troy, which kicks off on Friday, Nov. 23 at 5 p.m., followed by Shop Small Saturday on Saturday, Nov. 24, another event in place to promote small businesses. For more information on these and other local events, visit www.homegrowngreat.com. https://www.dailycall.com/wp-content/uploads/sites/30/2018/11/web1_111718mju_piqua_shopping1.jpgMike Ullery | Daily Call Rob and Julie Morrison of Troy check out the Christmas decorations at Apple Tree Gallery in Piqua on Saturday. https://www.dailycall.com/wp-content/uploads/sites/30/2018/11/web1_111718mju_piqua_shopping2.jpgMike Ullery | Daily Call A shopper checks out the Christmas decor at Apple Tree Gallery in Piqua on Saturday.